The Furr Bowl is Back! 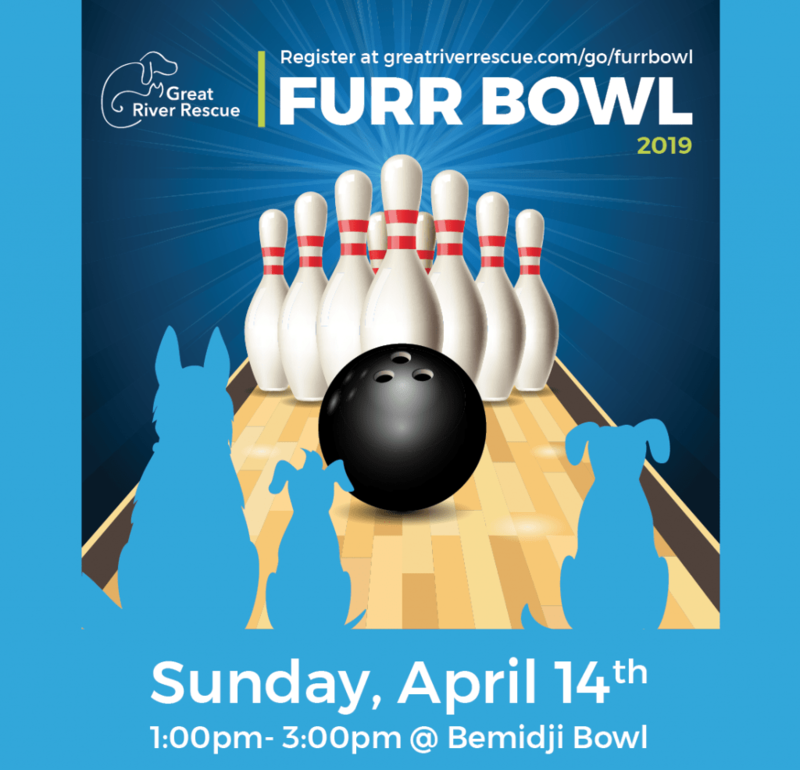 Great River Rescue has announced that it will be holding its annual Furr Bowl Fundraiser Event on Sunday, April 14 from 1 to 3 pm at Bemidji Bowl. This family-friendly event costs $25 per person and includes two hours of bowling, pizza, pop and great prizes. Plus, participants are encouraged to raise funds from their family and friends. Our top fundraisers will win great prizes including specially designed bowling pins from the artists of Gallery North. The Furr Bowl is one of Great River Rescue’s main fundraising events throughout the year. This year the shelter hopes to raise $10,000 to continue to provide high-quality care for companion pets until they find forever homes with responsible owners. Space is limited and those interested are encouraged to register early. Registration forms can be found at the shelter or registration can be done online at the registration page | Click Here. Great River Rescue, a non-profit organization, was established in 1977 as the Beltrami Humane Society. Over 12,000 kittens, puppies, cats, and dogs have been adopted from the shelter since that time. A no-kill shelter, it can house up to 45 cats and 25 dogs and maintains a waiting list of animals to be surrendered. Located at 1612 Carr Lake Rd, the shelter is open from 12:30-5:30PM Tuesdays-Fridays, and Saturdays 12:30-4:30PM. Executive Director Mustful can be reached at director@greatriverrescue.com or 751-7910.